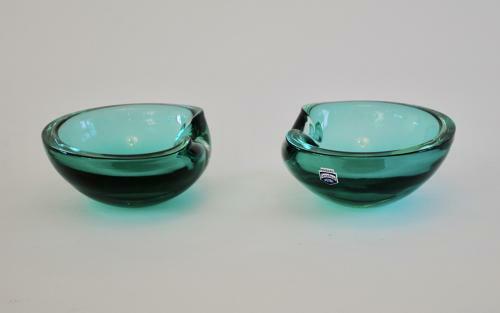 Pair of dishes from the Cenedese factory, Murano, Italy. Original paper labels and signature on the base. Perfect condition and larger than they appear in the photographs.